March 27 is the birthday of Wilhelm Röntgen. Röntgen (also spelled Roentgen) was a German physicist who was awarded the first Nobel Prize in Physics for the discovery of Röntgen rays, or as he called them: x-rays. 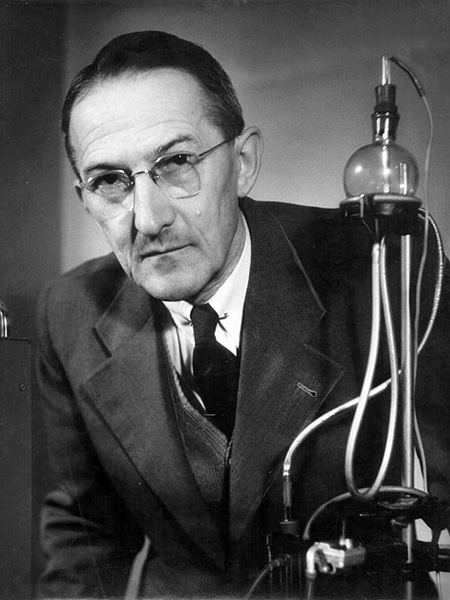 Röntgen was initially investigating cathode rays (electron beam) in vacuum tubes. He had covered his apparatus with an opaque layer of black material and was working in the dark when he noticed a fluorescent glow which could not have come from the cathode rays. He discovered the glow was caused by a new ray of energy that he called x-rays to signify their unknown origins. First X-ray image of Mrs. Röntgen’s hand. Röntgen also noticed if he exposed his hand to these rays in front of a phosphorescent screen, he could see the image of his bones through an outline of his skin. 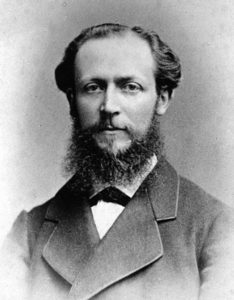 He enlisted the help of his wife and substituted the screen with a photographic plate and created the first x-ray image. This x-ray shows four of Mrs. Röntgen’s fingers and her wedding ring and started a new era in medicine. In 2004, the IUPAC renamed element 111 to roentgenium in honor of Röntgen’s accomplishments. 2007 – Paul Christian Lauterbur died. Lauterbur was an American chemist who shares the 2003 Nobel Prize in Medicine with Peter Mansfield for the development of Magnetic Resonance Imaging (MRI). The MRI uses nuclear magnetic resonance to image the interior of a body. Lauterbur built the first MRI machine and Mansfield further streamlined the process. 1968 – Yuri Alekseyevich Gagarin died. 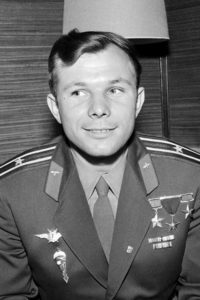 1967 – Jaroslav Heyrovsky died. Heyrovsky was a Czech chemist who was awarded the 1959 Nobel Prize in Chemistry for the development of polarography. Polarography is an analytical tool that uses a dropping mercury electrode (DME) to investigate the effects of varying currents and potentials of a compound. 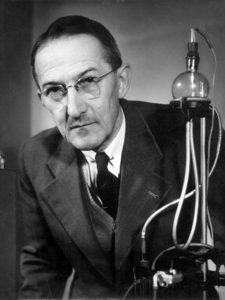 It was the first successful voltammetry technique and the beginning of a new method of analytical chemistry. Voltammetry is a useful technique to use as a sensor to monitor chemical levels remotely in industrial, biological or hazardous situations. 1942 – John E. Sulston was born. 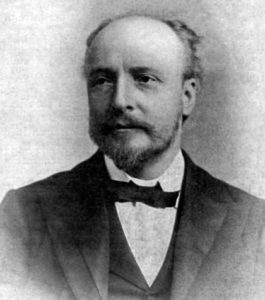 1923 – James Dewar died. Dewer was a Scottish physicist and chemist who is best known for the invention of the Dewer flask. Dewer flasks are double walled and contain a vacuum between the walls to maintain the temperature of the liquid in the flask. They would eventually be marketed under the trade name ‘thermos’. He made several advances in the study of low temperatures and created a device to produce liquid oxygen. 1890 – Carl Jacob Löwig died. 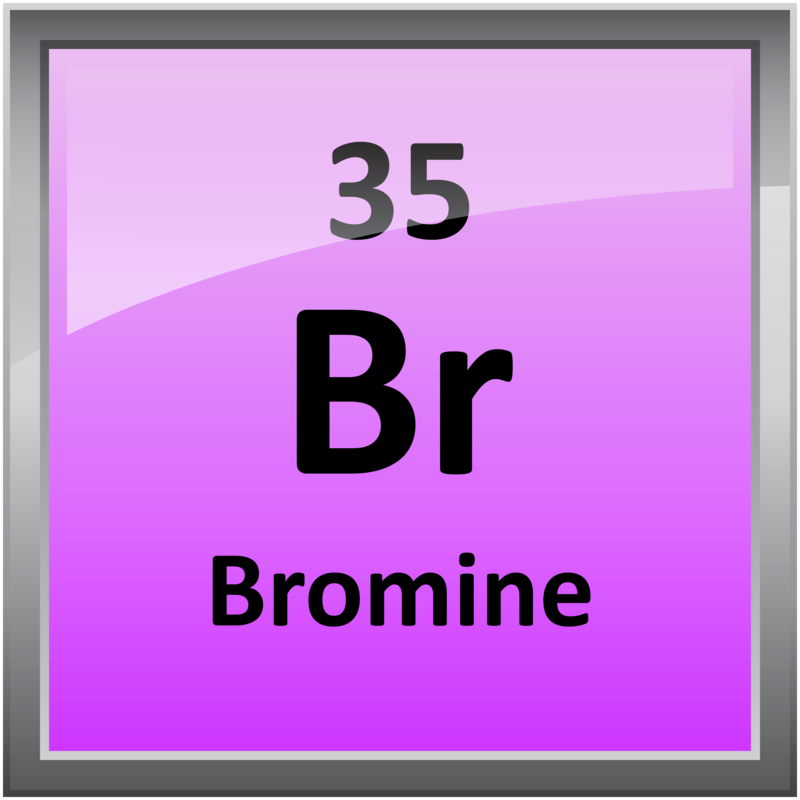 Löwig was a German chemist who discovered bromine independently of Antoine Balard. 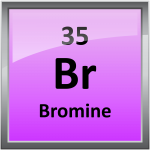 He made his discovery while adding chlorine and ether to spring water and found a red colored substance. While he investigated this substance, Balard published his discovery which had similar properties to Löwig’s substance. 1847 – Otto Wallach was born. Otto Wallach was awarded the 1910 Nobel Prize in Chemistry for his contributions to organic chemistry and pioneering work on alicyclic compounds. Alicyclic compounds contain carbon rings that are not aromatic and is both aliphatic and cyclic. He determined many molecules of the C10H16 family of molecules with had many different names were all the same molecule or had minor differences. 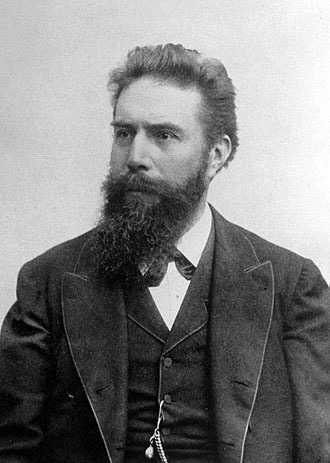 1845 – Wilhelm Röntgen (or Roentgen) was born.